Sciblogs | Top 10 new species of 2015! Around 18,000 species were newly named and identified last year and added to the 2 million species named so far. Estimates are that we still have around 10 million species still to be discovered on earth, and many will be extinct before they are even found. To draw public awareness to our planets amazing biodiversity, scientists at the SUNY College of Environmental Science and Forestry’s International Institute for Species Exploration (IISE) chose 40 of the 18,000 that were discovered last year and judges selected the top 10. Video interview from Paul Henry Show this morning, click to view. This morning on the Paul Henry Breakfast Show I discussed my favourite ones based on how quirky and fascinating I thought they were, as well as how much potential I thought they might have for biomimetic engineering research where we try to copy the cool things that nature does to engineer something useful for society. 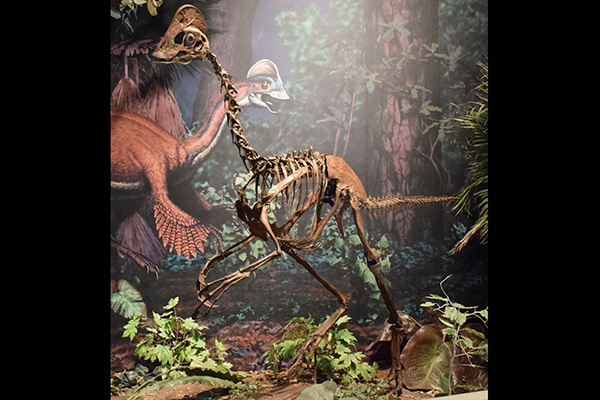 1 – Anzu wyliei – a feathered bird dinosaur. Mixing both bird and dinosaur features, this creature lived in North America where it made nests, sat on the eggs until they hatched and was an omnivore eating small animals and plants. They are described as having bird-like feathers, hollow bones and a short snout with a parrot-like beak. At more than 3.5m in length (10 feet), 1.5m in height (5 feet) and 300Kg (600lbs), this was no small chicken. In the Moroccan desert where this spider is found, the sand is hot and flat, and running away still means you are visible for a long time so might use all your energy trying to escape. To try and survive a threatening situation, this spider somersaults towards the threat which is much faster than running and I’m assuming might cause the predator to back off as it sees the crazy arachnid coming towards it! This unique way to get across sand quickly has been mimicked in the lab through the creating of a rotating robot designed after studying this spider. Kingdom: Animalia, Family: Pompilidae, Etymology: The epithet is from the Latin ossarium, meaning an ossuary or bone-house. 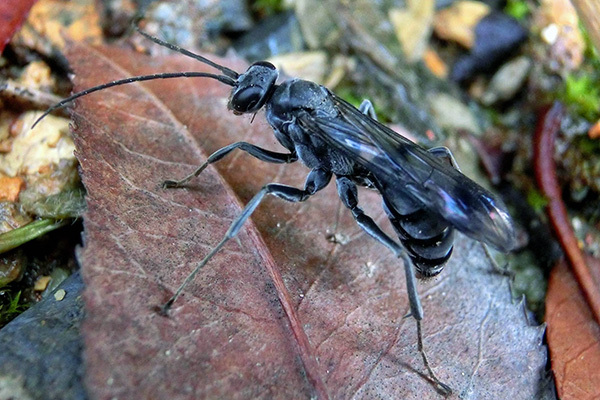 This wasp is the nicest mother in the grossest way. She creates individual nest cells for her eggs and deposits a dead spider in each for her young to eat as they develop. After laying her eggs, she seals the whole nest off with a chamber full of dead ant bodies which emit chemicals to camouflage her young. The rest of the list can be viewed here and include sea slugs with cool colourations, puffer fish that make incredible sand sculptures and a parasitic plant that doesn’t have chlorophyll!